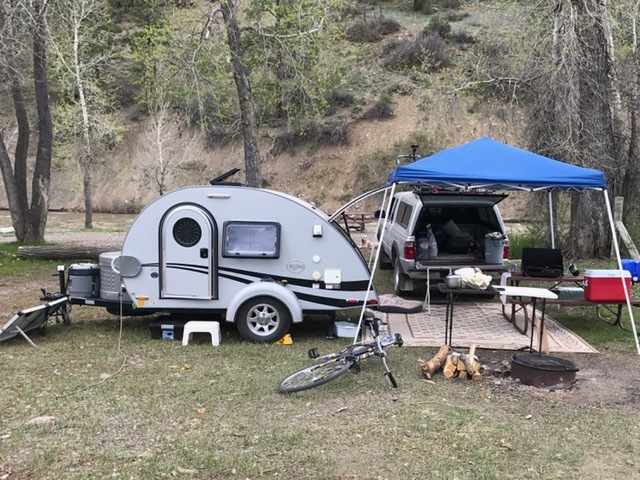 We had heard good things about this campground from online reviews and folks at our last stop. It didn’t disappoint. This is site 55. Nice hot showers with clean bathrooms. Good thing we set up the canopy cuz the skies opened up all of a sudden around 6 pm and it rained and hailed hard for about 15 minutes. We enjoyed peace and quiet again on our last night for this trip. In our haste to get to bed, we forgot our bin of bread, english muffins and other goodies. The racoon had a feast. You think we would know better!